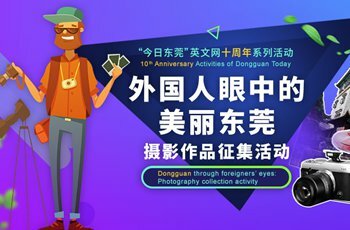 The Guangzhou-Dongguan-Shenzhen intercity rail link is scheduled to open on September 30th, 2019. Its both racks were completed in late March, the first round of tests will be carried out on May 1st and another round on July 1st. The railway is 76 kilometres long. There are 15 stations on the line, 10 of which are above ground. It will run between Shenzhen Airport and Guangzhou's Xintang where it connects with a through-service via Guangshen railway to/from Guangzhou East Station. It will be operated at a speed between 140 and 160 kilometers per hour, with a passenger capacity of 1200. The Shenzhen section has a total a length of 17 kilometers. The principal construction of Shenzhen Airport North and Shenzhen Airport stations have been finished, so has the 300-meter passageway linking Shenzhen Airport station and the airport terminal. Now decoration and mechanical & electrical installation is underway. 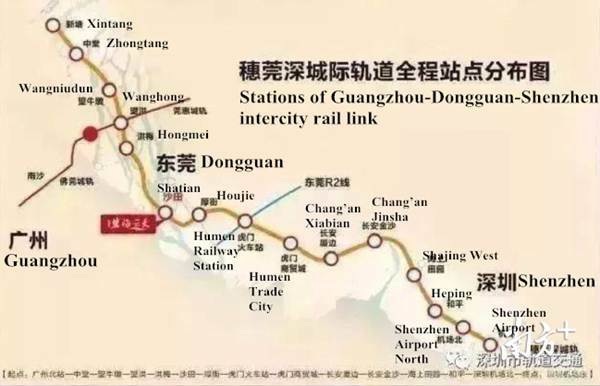 In the future, the railway will be extended to Qianhai in Shenzhen, and connect to both Guangzhou East Railway station and Guangzhou's Baiyun Airport. Hu Gang, professor of Jinan University School of Public Administration, said that an intercity railway is designed to do more than link two or more cities together geographically. 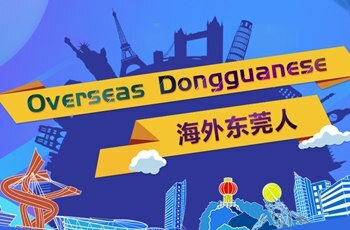 He furthermore suggests the Guangzhou-Dongguan-Shenzhen intercity rail link should be extended to Hong Kong, linking all the major cities of the Greater Bay Area.